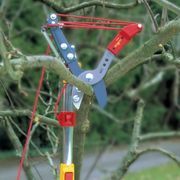 This innovative idea from Wolf Garton is designed to be attached to one of many Wolf Garton handles. 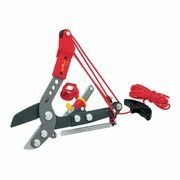 The lopper is 180 degrees adjustable and can cut branches up to 40mm thick in diameter. The 4:1 pulley system also makes it so much easier to prune your garden.